Compact and adhering to a crisp, clean design, the Elysee Dressing Table Stool is a beautiful finishing touch to any glamourous bedroom. 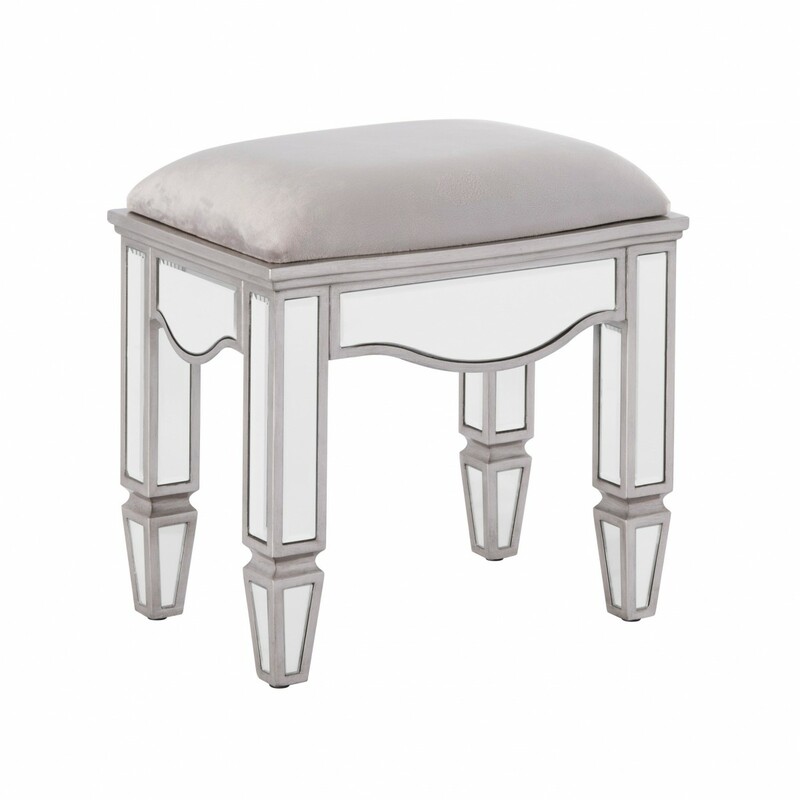 The Elysee Dressing Table Stool is also amply padded, which means that even glass furniture can be comfortable. The legs and seating area of the Elysee Dressing Table Stool are clad in mirrored glass, adding an undeniably opulent element to the home. Easily cleaned to keep at such a perfect polish, the Elysee Dressing Table Stool's materials can help make a room brighter. Though the Elysee Dressing Table Stool is certainly a beautiful piece of furniture on its own it does partner flawlessly with the Elysee 5 Drawer Dressing Table. When set together, the Elysee Dressing Table Stool and the Elysee 5 Drawer Dressing Table can serve as a superb beautification station. The Elysee Dressing Table Stool arrives completely assembled, removing any need for any arduous construction processes. Thanks to this the Elysee Dressing Table Stool is a convenient addition to the home straight out of the box. The Elysee Dressing Table Stool is part of the Elysee Mirrored Wooden Bedroom Furniture Collection.